Lock in a great price for Haas op het Vrijthof – rated 9.1 by recent guests! 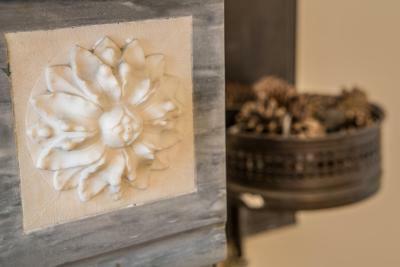 Excellent location on a square, friendly and informing staff, particularly the manager, Duncan, and an elegant renovation blending unique mid century pieces with 1920s original wood and terrazzo flooring. And fresh flowers! A perfect breakfast combination of healthy fresh juice, yogurt and soft boiled egg, with mini croissants and breads and cheeses. We couldn’t have asked for more! Everything was great .. location location location. The room was just soooo pretty, and breakfast was amazing. The bed was great. The bathroom was great. I loved my stay here and will definitely be returning. The managers at the Haus were more than accommodating. I hesitate to to be over exuberant in our review as it was just that wonderful and afraid they will become so popular that it will be difficult to book us next time. And when in Maastricht, there will be a next time. The breakfast delicious, the staff responded to our every request and would assist us in making reservations for our excursions and dinners. Wonderful wonderful! The location of property is perfect! Wry friendly and knowlable staff. Breakfast was tasty. Eggs were still warm. OJ was fantastic. Perfect location, friendly staff, beautiful building. Haas op het Vrijthof This rating is a reflection of how the property compares to the industry standard when it comes to price, facilities and services available. It's based on a self-evaluation by the property. Use this rating to help choose your stay! 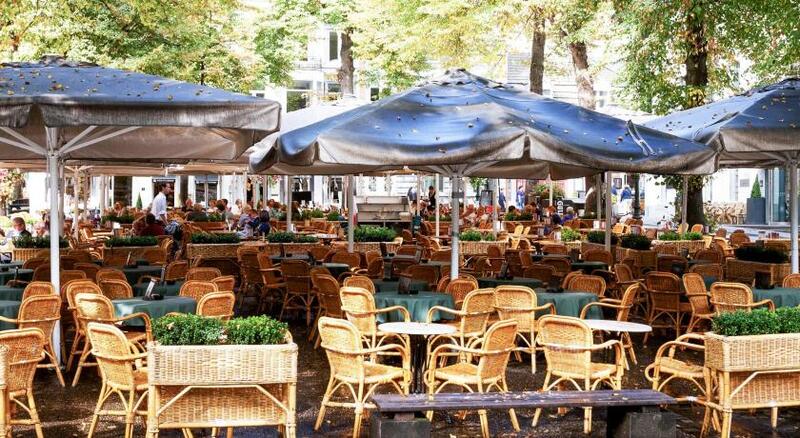 One of our top picks in Maastricht.Haas op het Vrijthof is an early 19th-century building on Maastricht’s lively, central square. The spacious rooms feature heigh ceilings and historic touches, all combined with modern designs. All rooms feature flat-screen TV's, extra long beds, Wi-Fi, and a bathroom with a bath, rainfall shower, or both. An optional breakfast can be served at any time in the privacy of the room. The Museum aan het Vrijthof is 50 feet away and the Theater aan het Vrijthof is across the hotel at a distance of only 100 feet. 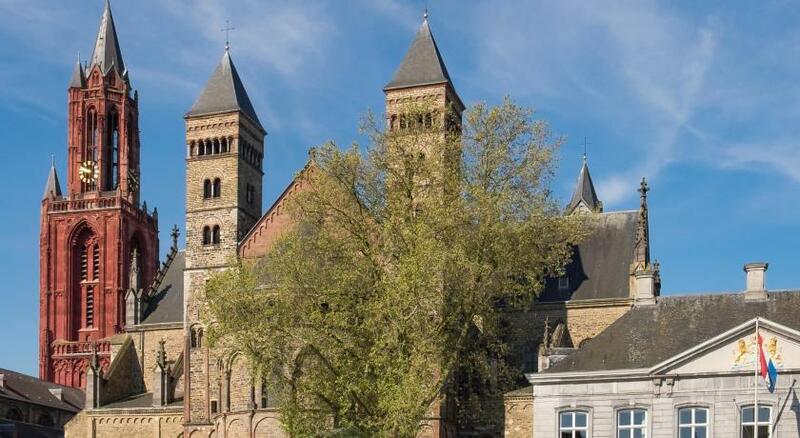 Maastricht Train Station is 0.6 mi away and Maastricht University is located at a distance of 1,150 feet. When would you like to stay at Haas op het Vrijthof? The Junior Suites are spacious and come with views, a kitchen or garden and bathrooms with showers and tubs. If one of the listed facilities has your preference, please feel free to contact the property with regard to your ideal accommodations. Please note that some Suites have to be reached via stairs and that the lay-out of the Suites may differ. If an elevator or facility is necessary for your stay, please contact the accommodations. Private parking is available at a location nearby (reservation is not needed) and costs EUR 22.50 per day. The Superior Suites are spacious and come with facilities such as gardens, kitchens, split-levels and fireplaces. If one of the listed facilities has your preference, please feel free to contact the accommodations with regard to your ideal accommodations. The Deluxe Triple room features a double and a single bedroom. The room has a bathroom with rain shower and a private terrace with views over the St. Servaas and St Jan churches on which breakfast can be served. The room is equipped with a Nespresso machine, a mini-bar and air-conditioning. Please note that this room can only be reached by (1 flight of) stairs. The Standard Double Rooms are spacious and feature a queen-size bed. The room has a design-chair seating area, a flat-screen TV and private bathroom with rain shower. The rooms are equipped with their own Nespresso machine and mini-bar. Please note that some of the Standard Double Rooms have to be reached via stairs, please contact the accommodations if the use of an elevator is necessary for your stay. The Deluxe Double Rooms are spacious and feature high ceilings and original ceiling ornaments. The rooms are bright and guests can relax in a queen-size Auping bed. There is a flat-screen TV and a private marble bathroom with rain shower. The rooms have air-conditioning, a Nespresso machine and a mini-bar. Please note that some of the Deluxe Double Rooms have to be reached via stairs, please contact the accommodations if the use of an elevator is necessary for your stay. Haas op het Vrijthof. Luxury in a house full of Wonder. Haas op het Vrijthof was an old private residence of a lady and her ‘mate’ built in 1920. It was build by the famous industrial family Ragout. 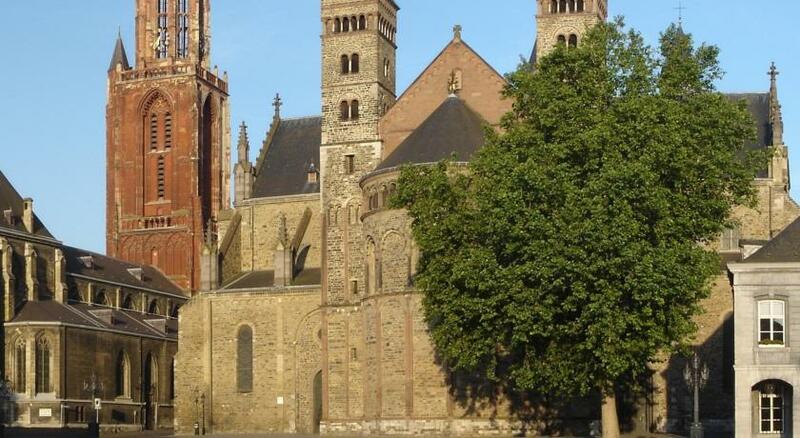 This house is situated next to the impressive church and basilica on the central Vrijthof square of Maastricht. The transformation of this house into a luxury guesthouse was a very delicate process, since we needed to bring life, modern travel standards and functional aesthetics into one place. For the interior the focus of functional aesthetics is based on vintage classics and the typical Scandinavian furniture pieces. This art-deco period house is located in the center of the city, but breathes its historic tranquil character and aesthetic beauty. House Rules Haas op het Vrijthof takes special requests – add in the next step! All older children or adults are charged EUR 47.50 per person per night for extra beds. ATM card Haas op het Vrijthof accepts these cards and reserves the right to temporarily hold an amount prior to arrival. Haas op het Vrijthof accepts these cards and reserves the right to temporarily hold an amount prior to arrival. Guests are kindly requested to note that any extra beds or baby cots are subject to availability and can be placed upon request only. Confirmation must be given by the hotel before arrival. Please note that the lay-out of the different rooms differs. Contact the accommodations for more information. Please note that guests can park their car at their own risk. Please inform the accommodations about your estimated arrival time. If you arrive after 18:00, please note that there will be a self check-in system in place. The accommodations will provide all the information regarding this procedure once you make a reservation and indicate your post-18:00 arrival. When your post-18:00 arrival time becomes clear on a later date or when your expected arrival time drastically changes, please contact the accommodations. For reservations after 18:00 for the same day, it is required to contact the accommodations after fulfilling the reservation. Please note the lay-out of the different Suites differs from one another. If guests have a special preference for one of the suites, they are required to contact the property via the Special Request Box during the reservation. Our room (21) was painted in a bright orange colour which didn't, I feel, go with the period style of the property, nor was restful. The pillows were too soft and I found the bedding to be too cheap for the price tag of the rooms. The towels too, were more like gym towels. Also, in room 21 the huge (and v. beautiful) bathroom has no blinds which means that in the Summer months, the blackout curtains in the bedroom are useless since the light comes through the glass doors to the bathroom. We also found the "only bedrooms" made us only use the property to sleep in. It didn't feel like the kind of experience we would expect from a good hotel at all. The rooms are split across two adjacent buildings with the only connection being the street outside. We were travelling with my daughter who at 17.5 years of age, was fine with this. But those travelling younger children would probably have concerns. There are no public rooms, except the breakfast room - breakfast was excellent though. Adding in the non-included breakfast made the room a tad pricey and, although it was made of top-quality ingredients (such as delicious freshly squeezed orange juice), I prefer a buffet breakfast. Not everyone wants to eat the same things at that time in the morning! The enormous space of the superior room, and the very quirky but - at the same time - very enticing lay-out. An enormous living room with open view of the square. A great-sized master bedroom and perfect-sized 2nd bedroom. A separate bathroom with a big bathtub, a separate shower bathroom, and a separate toilet. The staff was incredibly friendly, hospitable and seemed genuinely interested in having us as guests when we arrived. The location is superb. The amenities were great. A well-stocked fridge, free coffee (Nespresso) and tea. Powerful wifi. Great valet-parking. At departure the staff was equally lovely and, again, genuinely interested in us as guests. The location, and the boutique atmosphere in an old town-maison. Great location, very friendly staff, big well-equipped room (Junior Suite C1) and an extra-comfortable bed!! Oh, and a great breakfast in the room! Location exceptional and friendly staff. The Christmas market was outside the front door. Woke up on the second day to the sight of the iconic Christmas Coca Cola lorry outside. Bed was comfy, spacious room and a great view from rooms on het Vrijthof. 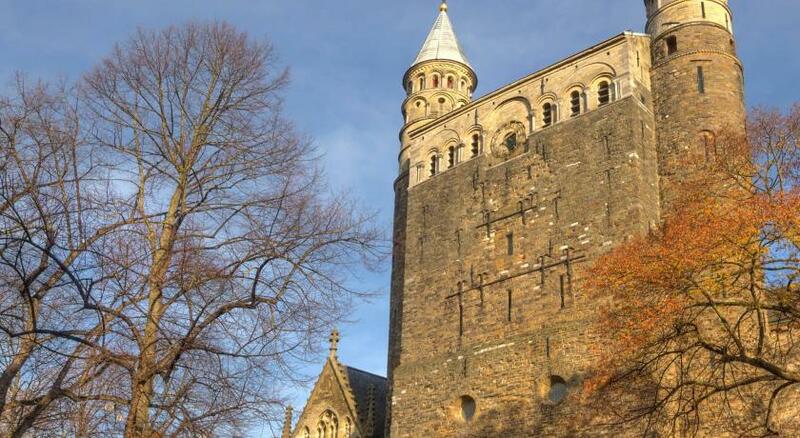 Hotel has a great location for exploring Maastricht. Although it wasn’t a problem for us, the stairs were narrow. However, they do have a lift. It should be noted if you have any conditions, but I’m almost certain the staff could assist you if you asked. Nothing I can think of, considering it’s a bed and breakfast, not a full service hotel. An small exercise room would be nice.